Durham dentist David Lambert will offer free oral cancer evaluations as a part of Oral, Head and Neck Cancer Awareness Week. "As a health care provider who is as concerned with preventing problems as with treating them, I am glad that April provides this important opportunity for education and awareness," he said. Lambert said dentists and doctors can usually see or feel tissue changes or cancer while it is still very small, or in its earlier stages. "Regrettably, most oral cancers are discovered as late stage cancer because people don't realize the importance of being screened," Lambert said. "Screening can save lives, since oral cancers have an 80 percent to 90 percent survival rate when found at early stages of development." The evaluations are available on a drop-in basis between 2 p.m. and 4:30 p.m. today and Thursday at Lambert's practice at 5015 Southpark Drive, Suite 120 in Durham. According to Lambert, there are two major types or oral cancer. They are the conventional form, often caused by tobacco and alcohol use, and HPV squamous cell carcinoma, a sexually transmitted disease. Many oral cancers can be prevented by limiting smoking and alcohol, he said. "The combination of smoking and drinking carries a greater risk of developing [cancer], although the vast majority of individuals who develop oral cancer consume alcohol," he said. Lambert said the risk is cumulative, increasing with the number of years a person has used tobacco and alcohol. Those with a family history of oral cancer may be at higher risk as well. The sexually transmitted disease mainly affects men between the ages of 14 and 69, he said. Limiting sexual partners, avoiding high-risk activities and possibly receiving the HPV vaccine Guardisil should lower disease risk, Lambert said. Lambert's advice to the public for limiting risk of oral cancer is to visit a dentist regularly, and to see a medical professional if a person has a mouth sore that doesn't heal within 14 days, a change in sensation such as numbness or pain that doesn't go away, or anything that bleeds unusually. Other symptoms include a lump or mass that can be felt inside the mouth or neck; pain or difficulty in swallowing, speaking or chewing; any wart-like mass; hoarseness that lasts a long time; or numbness in the mouth or facial area. A persistent earache can also be a warning sign. 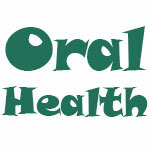 Oral cancer can affect the mouth, tongue, tonsils and throat. The Oral Cancer Foundation estimates that oral cancer represents about 3 percent of all cancers nationwide.